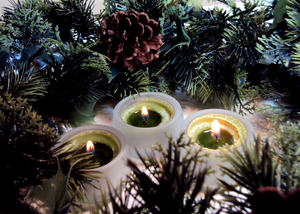 advent, anniversary, berries, candles, celebration, christmas, decoration, festival, holly, traditions. Christmas Candles, advent, anniversary, berries, candles, celebration, christmas, decoration, festival, holly, traditions. Used on site https://www.facebook.com/Domov-v-srdci-494373063971872/timeline?ref=page_internal,thank you. A lovely traditional Christmas image!